Hi everyone. 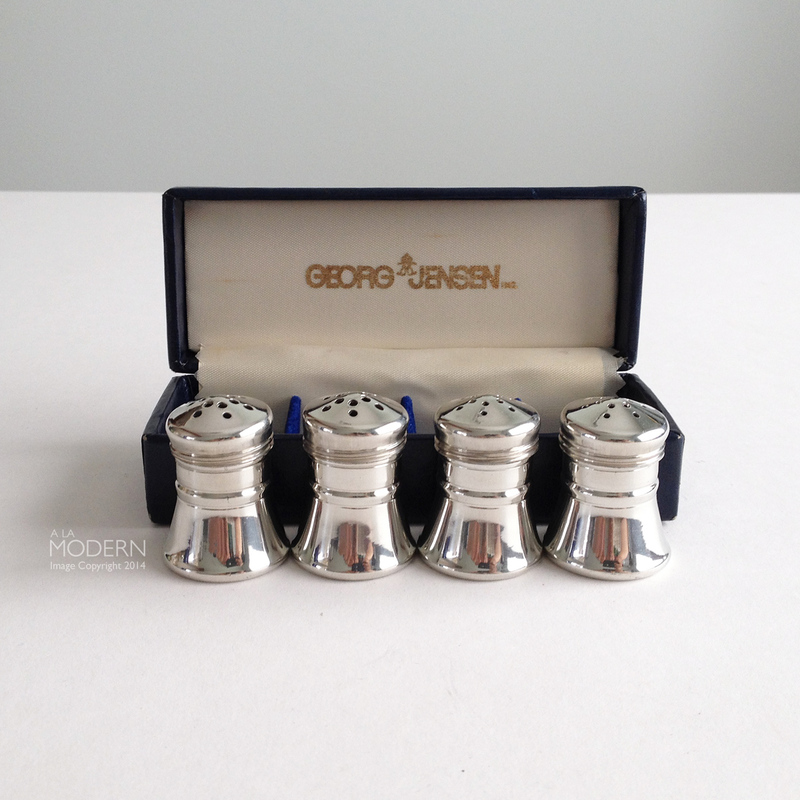 Lots of new-ish vintage goodies listed up in our shops this past month, MANY more still in the queue. We'll stick with some highlights - I think that's going to be the norm from now on, with probably a post per month. 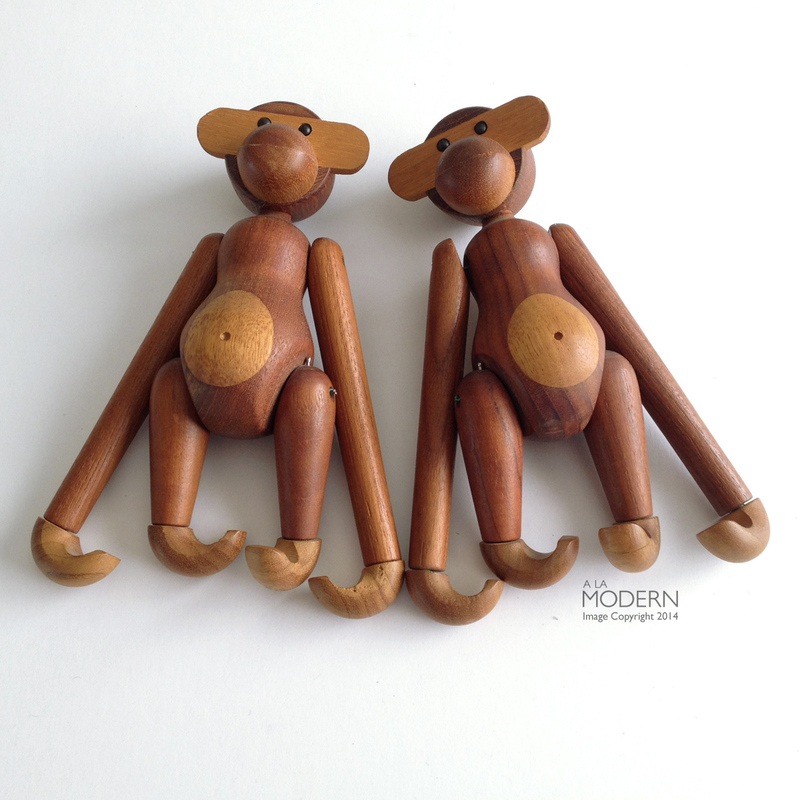 Couldn't believe that we bagged TWO of these Kay Bojesen Danish monkeys at a thrift recently. They're going to require arm and leg kits to fix, but they shouldn't cost one. Someone had tried to fix them with wire instead of rubber bands. But still amazing to find - and not for sale (yet). 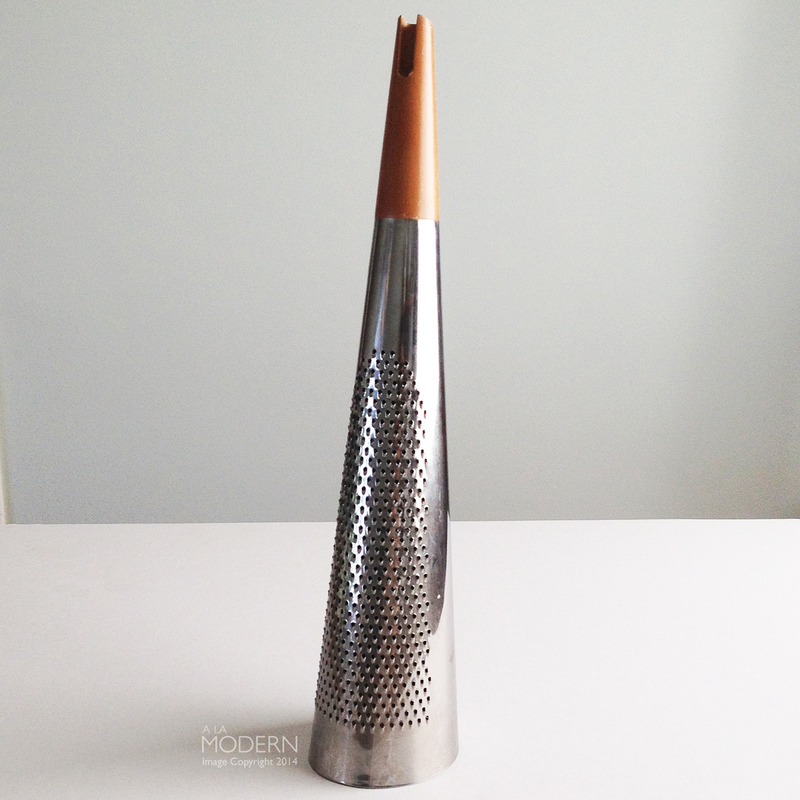 This Alessi "Todo" large showpiece grater was designed by Richard Sapper. A newer piece, but still pretty cool, or great, form and looks like you could grate Todos los quesos. 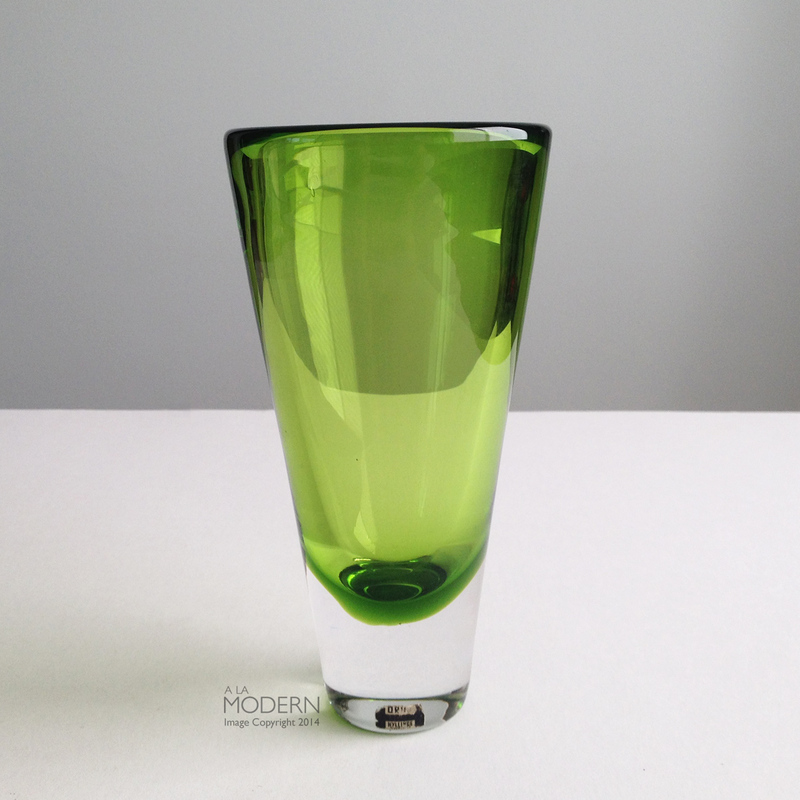 I had been eyeing this Bengt Orup for Hyllinge vase for a few weeks at a small thrift shop, but the price was a little high. I didn't get too bengt out of shape, because they finally put it on sale, and it was a 50% day as well. I think Orup only worked at Hyllinge for a short period of time in the 1960s. 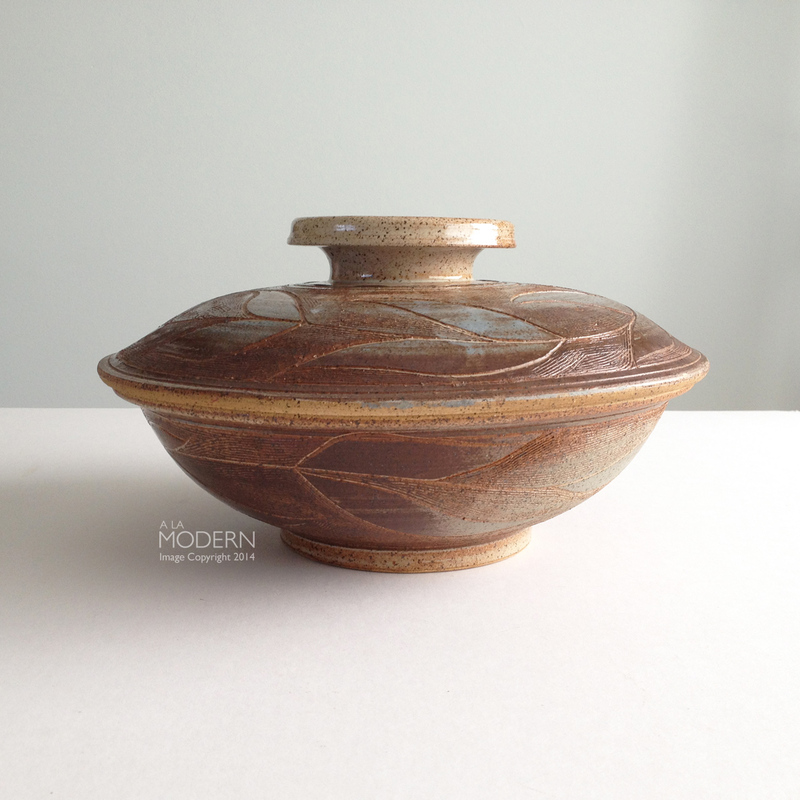 I have a Raul Coronel ashtray that's remarkable similar to this Brent Bennett ashtray. It makes sense, because Bennett worked under the Colonel, and later became partners in a few ceramic ventures. Non fried ones. 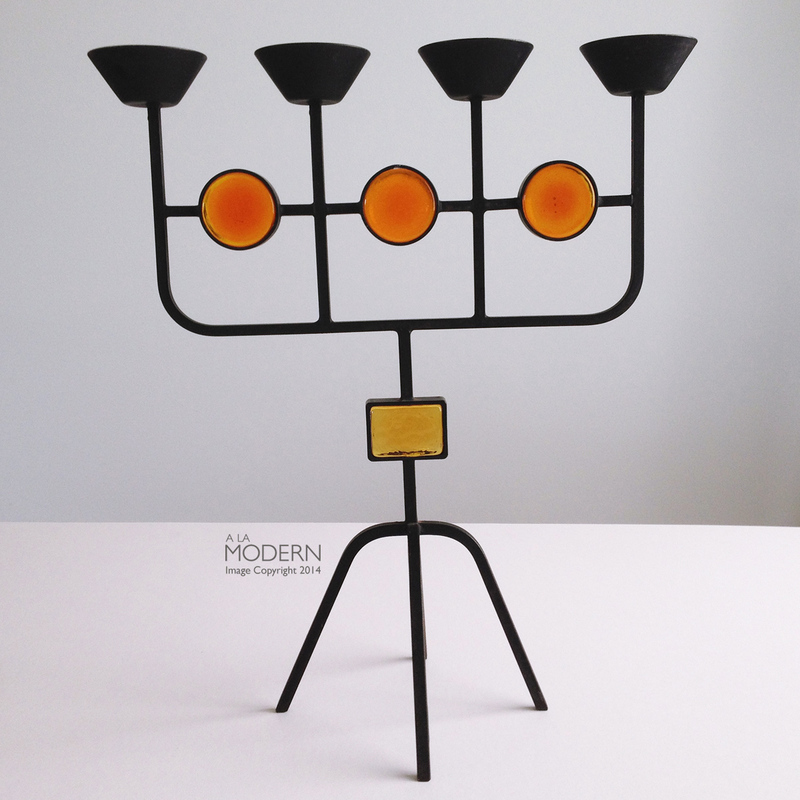 This Ystad-Metall and Kosta Boda glass and iron candelabra is said to have been designed by Erik Hoglund pretty much anywhere online you look. It certainly makes sense, and looks like his style - but I don't think it's been conclusively proven yet. I saw Gunnar Ander mentioned as well in some places. 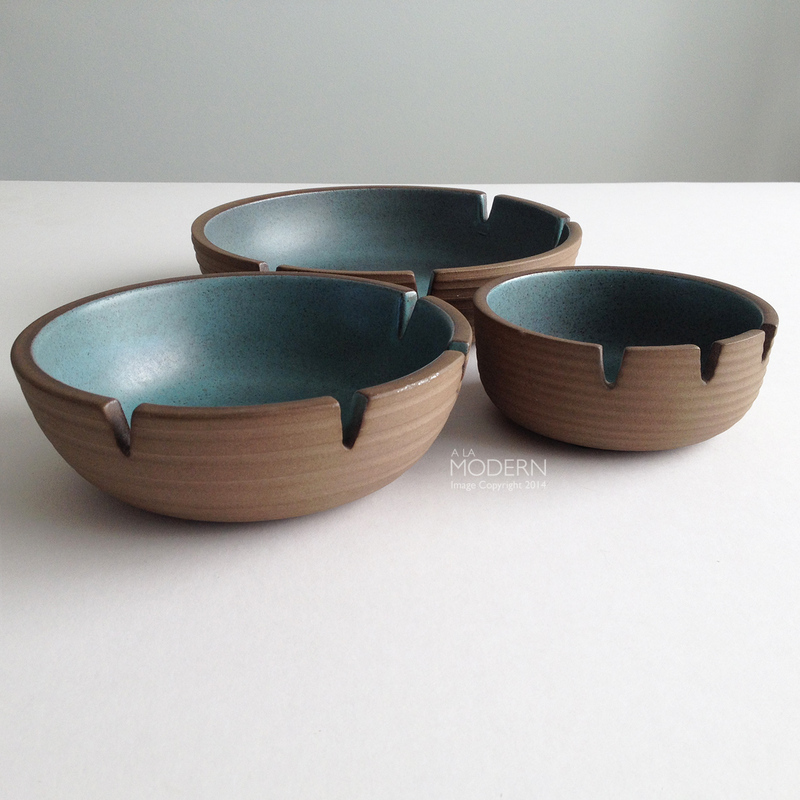 I got lucky and grabbed this set of 3 Heath Ceramics right when they were putting them out. 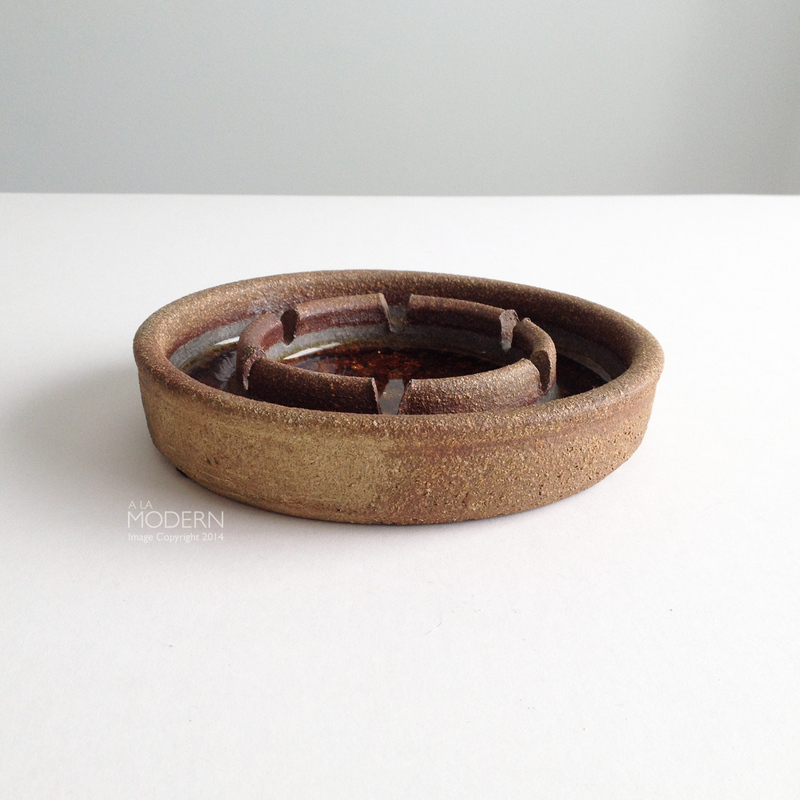 Heath gets scooped up pretty quickly nowadays, but sometimes the ashtrays go unnoticed. 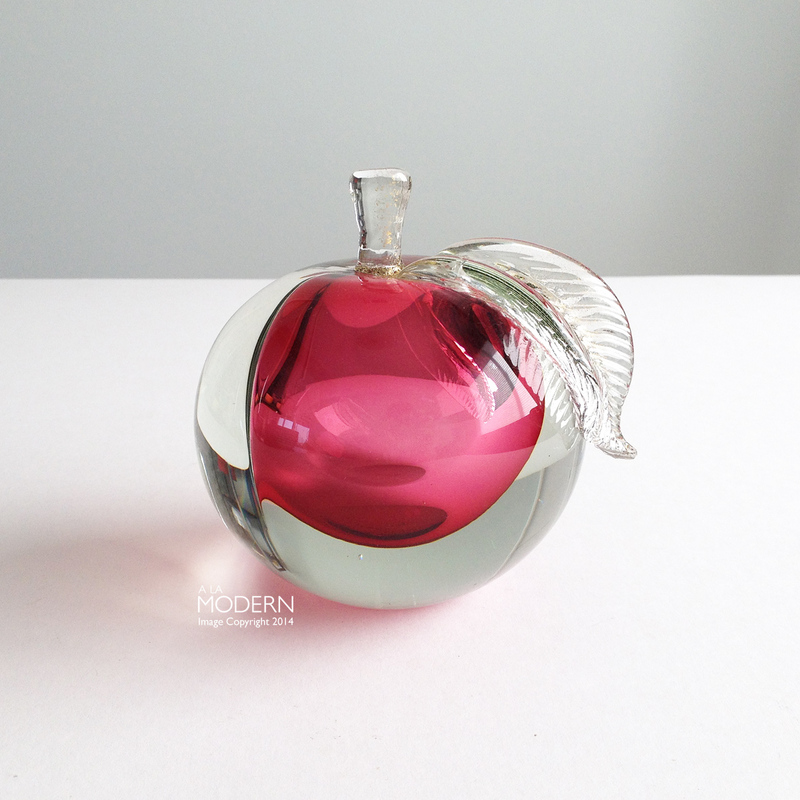 Murano glass apple with design by Alfredo Barbini. These apples usually came as a pair with... a pear. LOL. They only had the apple unfortunately. I was uncertain about this casserole at first, but the design was just really nice so I ended up getting it without knowing who it was by. When I got home, I did some googling and was able to decipher the name as Paul Menchhofer. I'm uncertain if this is his newer work, I think it may be, though the feel is sort of vintage. I can't think of any more puns. Lastly, sorry for the bad picture - I'd forgotten to save a nicer full sized one, so this is straight off our instagram. 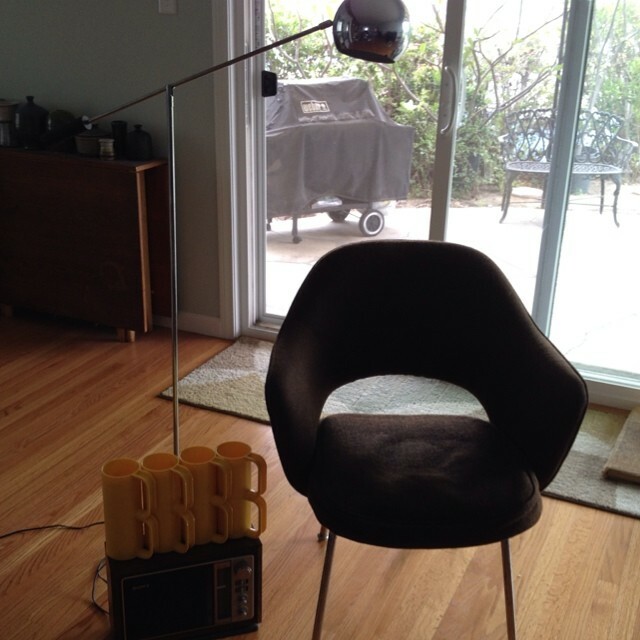 I found a decent Knoll Saarinen office chair in brown, and a nice looking Sonneman-style "eyeball" lamp. On the floor is an old Sony radio for the booth and a mess of yellow Heller mugs. I'm still not sure if the eyeball lamp will stay with us or go to the booth. It's got the socket replaced, but it works fine. The Saarinen - well, I'd thought about putting it in our office but there's just no room. Probably will go to the booth as well!